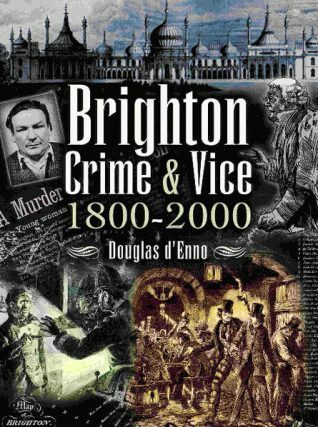 In his new book ‘Brighton Crime & Vice 1800-2000’, local author Douglas d’Enno records two centuries of criminal history in the city. The book is presented in a very convenient A to Z format and so searching for particular items or people is very easy. The author documents crimes across the spectrum. Murders, rapes, thefts, racketeering, scandals, drug-dealing, embezzlement and vice are just a selection of the topics covered. An interesting aspect of the book is that it combines fact and fiction; there are entries devoted to films and books portraying crime in the area. This unique guide is a valuable work of reference for those who are interested in the history of the city’s underworld. Apart from being encyclopaedic in its range, the book is highly readable and I found myself not being able to put it down. 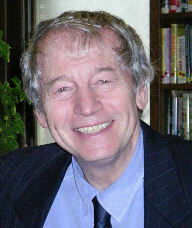 Douglas d’Enno is a local historian, linguist, publisher and journalist who has written a number of books on Brighton. He is currently researching material for ‘Saltdean Revisited’, the follow up to his book ‘The Saltdean Story’. Hello from Canada. I lived in Brighton from 1939 until 1964 when my husband and I and our two children came to Canada. I am interested in purchasing a copy of this book and as we will be in Brighton later this month (April), could you tell me where I could pick up a copy? Hello from The Netherlands. Could anyone tell me why it was a crime to commit suicide? The son of my great-aunt, Arthur Privett, commited suicide when he was a headmaster of a boys’ school. I remember it was in the beginning of the 20th century. My great-aunt was Florence Louisa Bletsoe married to Arthur Edward Privett in Steyning. I see from this and your other entry on this site that you have been looking for the Privett family suicide early in 20th century. However, your Arthur’s mother Florence was only 5 in 1901 so could only have been married circa 1915 at the earliest, producing a son who had to first qualify and then aspire to become a headmaster. That being so, your area of research should be better focussed on the mid 20th century. Another small, but I hope helpful note; Steyning district registrations covered the area of Brighton known as Preston, which included Westdene where your Privetts lived. I therefore suggest you find and then buy your Arthur’s death certificate, from that you can locate a date and coroner’s report and also read all about it in the local newspapers. I can give you some details of this suicide. Arthur Privett was one of my teachers at Christ Church Boys School, Harrogate. He joined the school after retiring as an officer from the RAF. He was with the school from 1957 until 1963, which was when he took his life. Contact me at Harrogate22@gmail.com if you want further details. Sorry for my English, I am Italian. Mr d’Enno, your grandmother was Vivien Chartres, Annie Vivanti’s daughter? I know she commited suicide in 1941, is it true? Could you tell me something about this fact? I am very interested in all concerning Annie Vivanti, known by Barbara Allason’s books. Thank you in advance.